Central United Church offers you our sympathy and prayers at this time of loss. We consider it part of our ministry to offer assistance as you plan this service. A funeral or memorial service is a service of worship to give thanks for the life as we grieve our loss. We encourage families in their time of sorrow, that as well as celebrating the life and the personal stories of their loved one, that they may find comfort in the traditions of words of prayer and scripture in the service. Our minister will meet with you to plan the service so that it might be a fitting remembrance and tribute to the person you are honouring. You will be assisted in choosing scripture, hymns and other components of the service. Your wishes and those of the deceased will be followed to the best of our ability, in keeping with the traditions of the church. Our minister will conduct the funeral service. If he/she is away, there will be a neighbouring minister available to do the service. If, for a special reason, you wish to have another minister take part in the service, you are welcome to do so, in consultation with our minister or the worship and membership committee. Guest musicians are welcomed. Please consult with the minister and music director about where they will be in the order of service and where they will be located in the sanctuary. Sound checks may be required. It is customary to have two or three congregational hymns during the service but not necessary. Upon request and availability, members of the Central choir will attend to assist with congregational singing. Private space will be provided for the family before the service. Please feel free to ask a family member or friend to do a Eulogy. We also welcome the participation of family and friends in the service through the reading of scripture or singing solos, or other readings such as poetry. 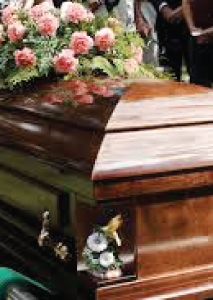 If you have decided to not use a funeral home, the services that the funeral home provides such as service folders, baskets, no parking signs, quest books are entirely the responsibility of the family. The church will not provide these. Flowers may be delivered to the church. PLEASE NOTE: DUE TO ALLERGY SENSITIVITIES, WE STRONGLY DISCOURAGE THE USE OF LILIES IN THE BUILDING. Many people are active in organizations outside of the church. The decision to involve them in the service is with the family of the deceased, but please notify our minister when you are meeting to prepare the service. We would like to live stream your service on our website. You will receive a link to watch it again after the service has ended as well. Please talk to the minister or staff about this possibility. This brief service may be arranged at a time agreed upon by the family, minister and funeral home. Following the memorial service or committal a reception may be helpful in allowing us to be surrounded by the love of family and friends. Upon request, a funeral “lunch” may be held in the church auditorium and can be catered by the United Church Women’s group upon request. When memorial donations are made to Central United Church, the name of the loved one will be recorded in the Church’s Memorial Book and the family will be informed. Please discuss this with the Funeral Home. We hope these guidelines will assist you in your planning. We are honoured to be able to serve you at this time of need. May God comfort you in your sorrow and may the support of friends and community be a blessing to you.